Nonstick cookware also known as Teflon cookware needs careful handling and proper maintenance. This is because these items come with a special coating over the metal surface that should not be damaged or scratched ideally. If it is damaged then the metal will leach into your food causing health issues some of which can be very severe. 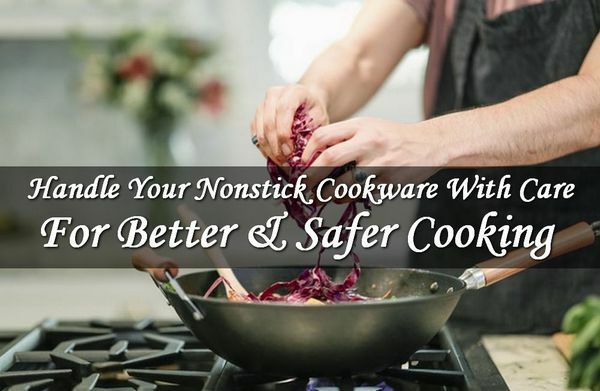 Therefore, make sure that you handle your nonstick pots and pans carefully while cooking or storing food and even while cleaning after you have finished cooking. You must know that the coating of the nonstick cookware is slick and very thin. This also helps in easy cleaning of the item as it usually do not stain much due to less use of oil in your cooking. Therefore, cleaning may be commonly easy but extra care is required when your food is burnt on or you have to remove stubborn stains. To retain the functionality and safety aspect of the nonstick cookware you will need to follow a few specific methods while cleaning to prevent any damages to the pan. You must stick to hand washing your nonstick cookware. This is the most common process even if the manufacturer claims it to be “dishwasher safe.” This will ensure a long life of the coating material on the metal surface. You should not wash your nonstick pots and pans when it is hot. Ensure that it is cold enough and at room temperature. If there are stains or food burns on it especially, it is more important to let it cool first as scrubbing even at the slightest may damage the Teflon coating. 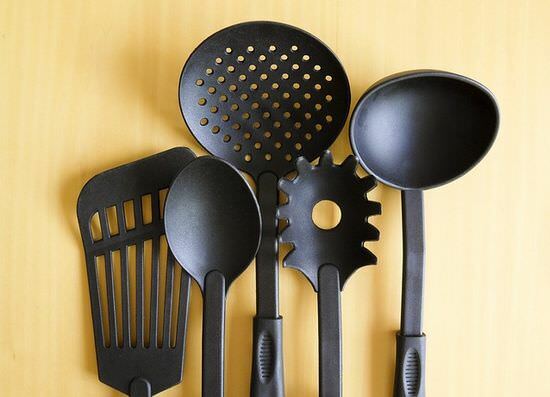 Using any metal tools or a scrubber is absolute no-no while washing a nonstick cookware. This is ideally the number one rule while using nonstick cookware. These tools or scrubber will damage the nonstick coating on the surface that is very delicate. Do not use any abrasive cleaners as well. Always use wood, plastic, or nylon tools to scrape off burnt on food. If you need to need to clean your nonstick pan daily make sure that you use normal and very mild dishwashing detergent mixed with warm water. Also make sure to rinse the cookware well in cold water after washing so that it removes all traces of the soap solution from the surface. You may also smell it to see whether it is properly removed. This is important so that the soap does not end up mix with the food you cook in it later and makes sure that your friend not only say, “I like this cooking set” but also appreciates your food as well. For removing any stubborn stains that may buildup on the pan use a mixture of vinegar and water but do not use a steel wool to remove it. Make the mixture using half a cup of vinegar and a cup of water and boil it on the stove. The vinegar will loosen the oil or stain residue. It explains everything in great details.